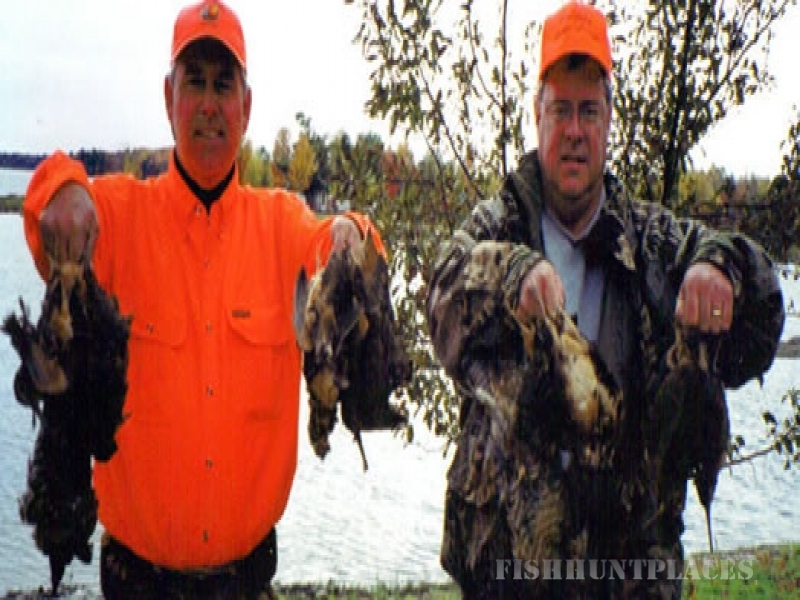 Buck Taylor, a noted Outdoor writer wrote, 'If I had gone to New Brunswick first, I could have saved a lifetime of travelling around the globe looking for the perfect placce to hunt and fish. 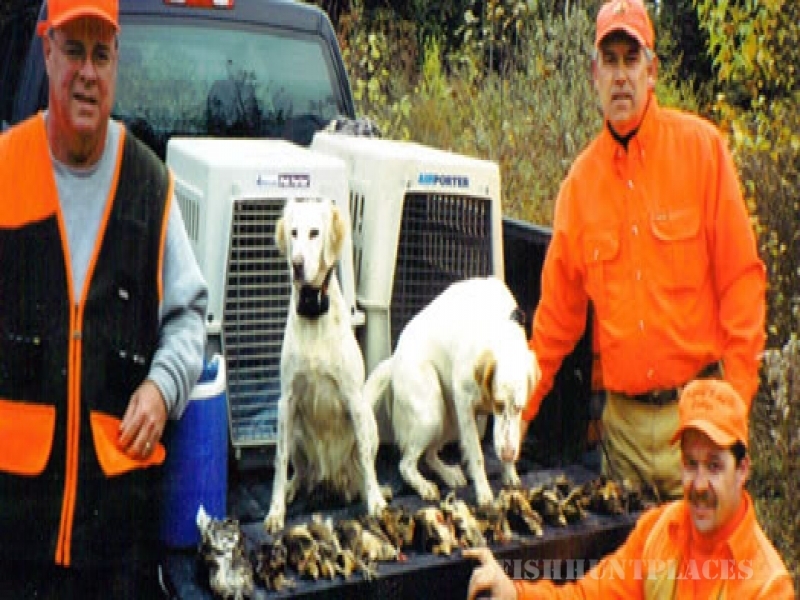 New Brunswick has become a popular place for sports persons who enjoy outdoor activities and seek white-tailed deer, moose, bear, and various birds. Healthy game populations make the area around Palfrey Lake a true paradise for hunters. The average white-tailed deer weighs in at 175-200 lbs for bucks and around 120 lbs for does. The largest trophy buck taken at the Lodge, weighed 267 pounds. The average bear weighs 150-200 lbs. The largest bear scaled in at 425 pounds (dressed). 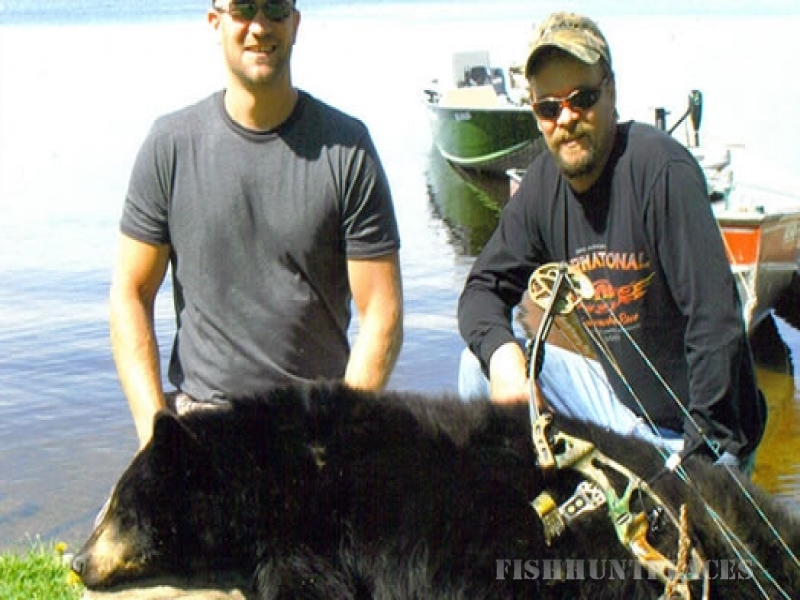 Bear hunters at Palfrey Lake Lodge show an excellent percentage of success. 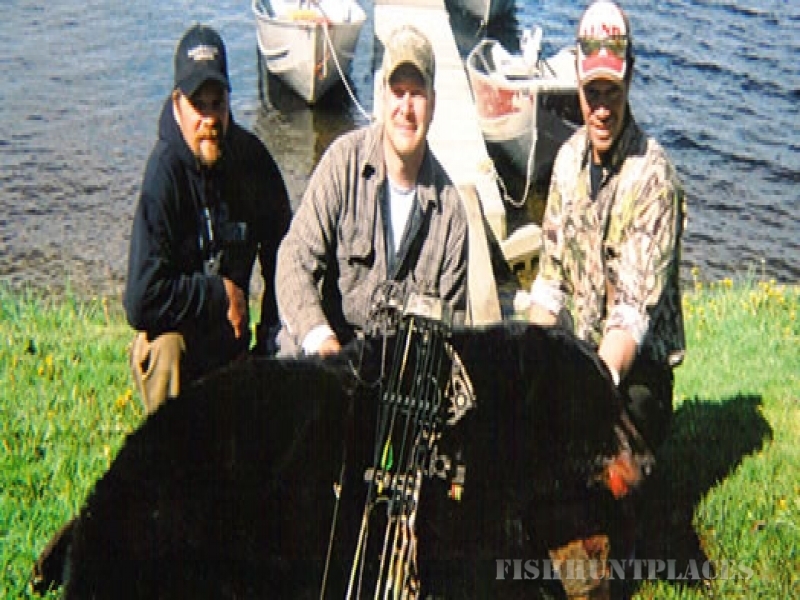 The bear hunt package includes guaranteed active baits, guide, transportation to and from stands, and skinning and freezing hides. Please remember to bring your own seat!